Mobile learning for students and professionals on the go. The University of Alberta's Faculty of Extension provides students over 700 courses through the downtown campus and online. The new classrooms are designed to suit the needs of different groups through flexible use of the spaces. Each classroom can be set up as a traditional lecture room with large projection screen at the front. To support alternative learning environments, the rooms are fully equipped with LCD screens for interactive learning. 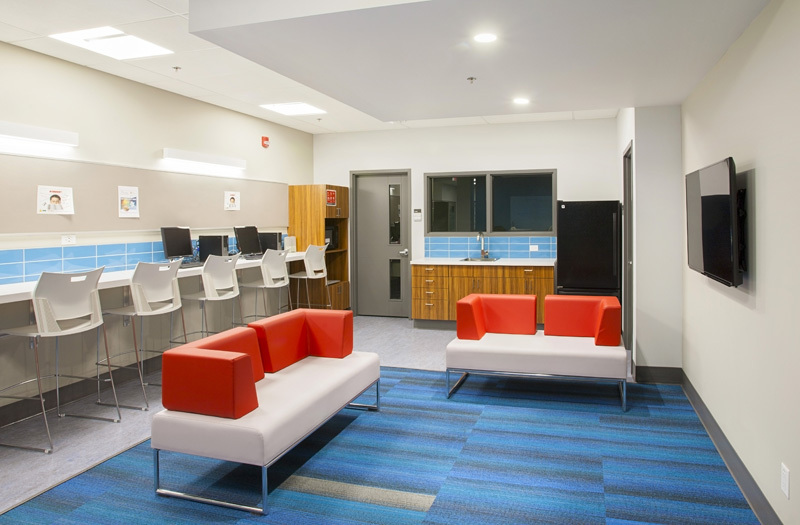 The space features a student drop-in centre with lounge, break out rooms, and laptop bar to support a variety of student study styles. The faculty includes a prayer space and updated washrooms with wudu wash stations to support the diverse student body. 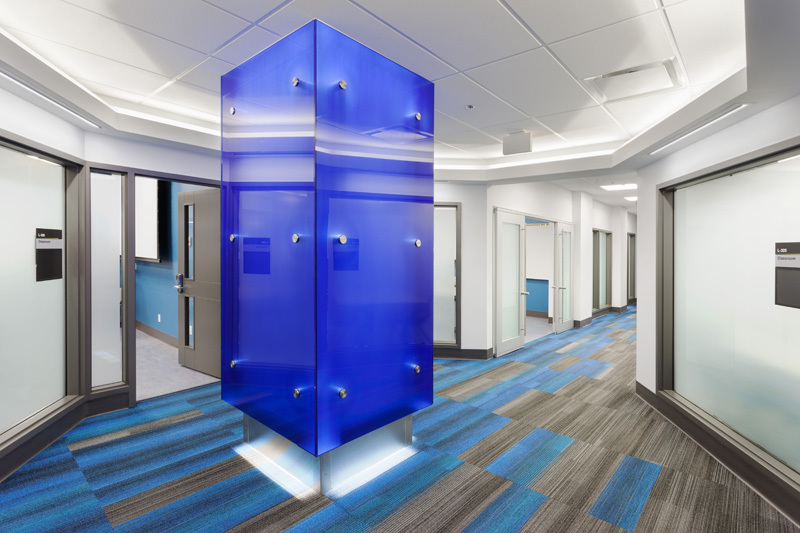 As a basement space with no natural light, we implemented illuminated frosted glazing and indirect light to make it feel as though there is space and light beyond the classrooms.